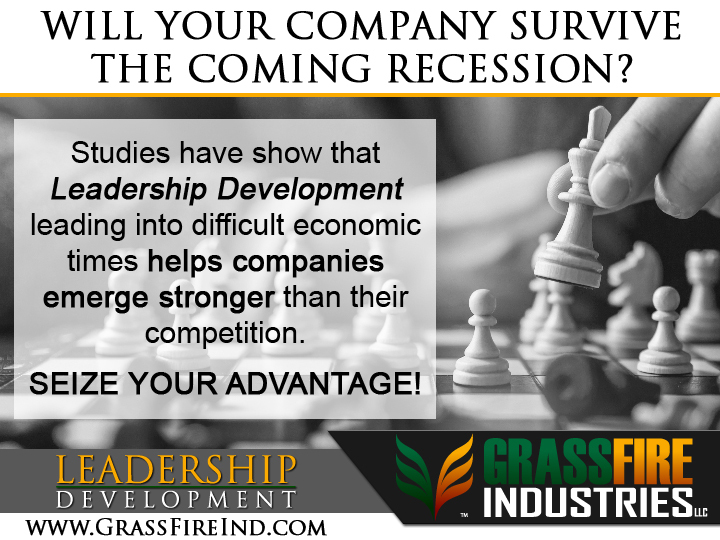 Executives continually rank leadership development as a top priority. Unfortunately, there is no doubt that a great many leadership development programs out there simply fail on their promise of actually developing leaders. So what’s really going on? The sad truth is that too many programs only focus on leadership theory alone and usually only in an organizational tone. Additionally, leadership development programs often regurgitate stats and figures and then expect the student to memorize it all as though it were some sort of “one size fits all” endeavor. I believe that this is fundamentally flawed because one size does NOT fit all and stats and figures are not exactly “inspiring” in regard to leadership development. Leadership Style is a great example of this. You can’t simply change someone’s leadership style from one to another because that assumes that they adhere to a single leadership style. The truth is that leaders are usually a blend of numerous leadership styles and this is a result of years of exposure to the real world. You have to work with that specific blend and since no two students are identical, you cannot approach their development as though they are. Furthermore, one will usually not just change their style because a paragraph in a handout expressed the benefits or reasons for doing so. And let’s be honest with ourselves; we probably wouldn’t want our leaders to change so easily anyway. True, studies have demonstrated that some programs can succeed in changing attitudes about how one should lead. However, follow-ups on such studies also reveal that regression into pre-training views is common. I believe that this is because the most important factor is usually not taken into consideration when the program was designed or deployed and because memorization isn’t enough. Let’s examine for a moment what we know to be true. To begin with, a leader that performs well in one situation may not perform so great in another. We also know that leaders are not perfect and that they are people too. This means that they may fall victim to the exact same limitations and influences as the rest of us. We also know that memory isn’t all it’s cracked up to be at times so memorization alone is not something to be relied upon. And finally, we know that the ability to apply what one has learned can be greatly hindered if memorization alone is the goal of a program. As a result, a leader will simply go back to what he or she is familiar with. Since these positions are generally easy to recognize as true, there is an assumption by some that ALL leadership development programs are not going to lead to lasting results. I believe this assumption is also flawed because of a simple, yet very important factor that too many have a hard time wrapping their heads around, let alone using as a tool of change. It is this factor that changes the game entirely though. The factor that too many programs fail to address is the “H-Factor” or the Human Factor. The human factor is a simple one. I equate it to chaos theory. It means that we are all flawed, awesome at times, terrible at others, different, not different, individual, collaborative, strong, weak, smart, dumb, secured and vulnerable. Each of us is any one of these things in any number of different ways at any number of different times in our lives. This means that even if you are a solid leader overall, you’re still not perfect and you’re still going to have some “leadership gaps” and will need to rely on others as a result. So can Leadership Development Really Work? Absolutely… if it’s approached right. A solid leadership development program must be based on the individual; not the organization. The truth is that for great leaders, there is no difference between life and leadership; it’s just something they are. In our leadership development program, we address the individual specifically with this in mind. This is why our program works great for people from all walks of life. We teach our students to embrace who they are as a person and to rethink the construct of what a leader is “supposed to be”. We teach our students to recognize and embrace the “H-Factor” to help them become better leaders. Think of it like foam. You can manipulate foam in a million different ways, but it will eventually go back to its original shape. Similarly, the reason that so many people often regress into old ways of thinking after a leadership development program is because that program sought to manipulate the person into something he or she wasn’t designed to be. However, when you apply heat to foam, you can change the shape of it entirely. In our program, we ignite the heat from within and encourage the student to change their mold into whatever they want it to be. This equates to lasting results. We dig deep to discover the root of our decision-making processes, the things that keep us guarded and the programming that has influenced us over time. When the student discovers this reality for themselves, it’s they who wish to change. Our students change fundamentally from within because it’s THEIR decision to do so. As a result, the way that our students approach everything in their lives begins to change accordingly and the results are not only long-lasting, but foundational and systemic. At GrassFire, we teach our students to not only recognize their leadership gaps but to also embrace those gaps for what they are. We teach them how to use those gaps as strengths. We are not interested in trying to change the person into something they are not or simply don’t want to be. Instead, we develop and hone the skills the leader already possesses and help them achieve greater confidence in their abilities. This makes them a more effective leader because they realize that not only is it okay to have leadership gaps, but that through empowering others to fill those leadership gaps, they can actually foster a stronger organization or home. 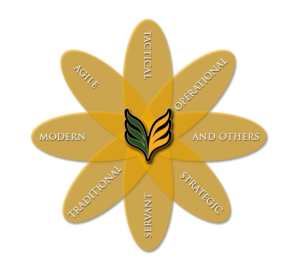 At GrassFire, we begin our process with personal leadership and self-awareness. We live by the idea that we cannot address a challenge unless we are willing to first recognize that challenge and then face it for what it is. We examine and establish purpose, integrity, vision, focus and effective processes. We learn the arts of personal acceptance, celebration and emotional intelligence. We learn that learning itself is a never-ending process if we seek to remain competitive and competent. And we do this all via self-reflection, question and simple conversation that is customized to the student… because one size simply does NOT fit all. Don’t take my word for it. Browse our testimonials. See for yourself what our program has done for others, then decide for yourself by experiencing it for yourself.